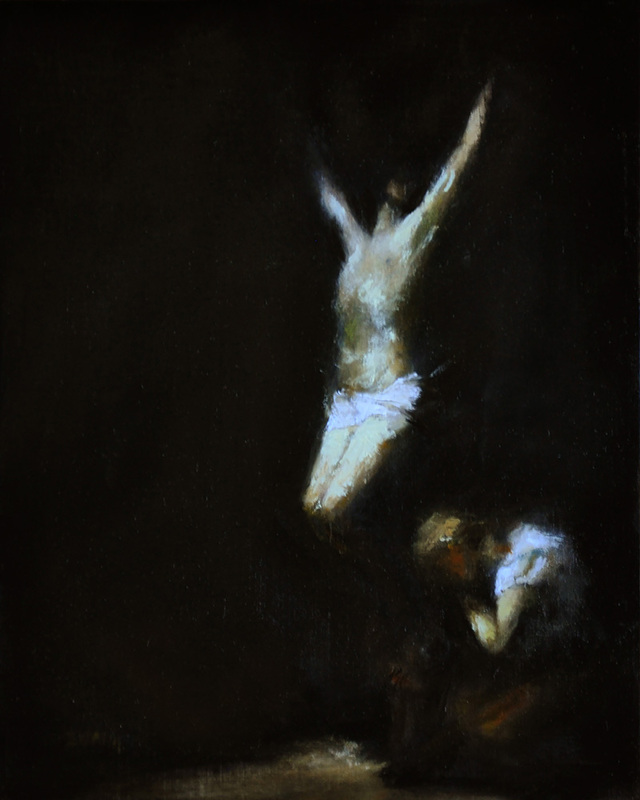 Pierre-Paul Prud'hon, a nineteenth century French artist, carried the concept of tenebrism... using shadow and a little bit of light... to the nth degree in his painting titled 'Crucifixion'. I would like to one day see his work at the Louvre as this image had become a powerful Lenten prayer for me in the hours of painting my version... this one. Sold through The Sacred Art Gallery in Scottsdale, AZ.